Tempus has years of experience working with others to design and manufacture personal bespoke items for many reasons or occasions. You could desire an individual piece for many reasons. Perhaps an engagement, wedding, anniversary, birthday, religious occasion, or just because it is something you have always wanted just for yourself. 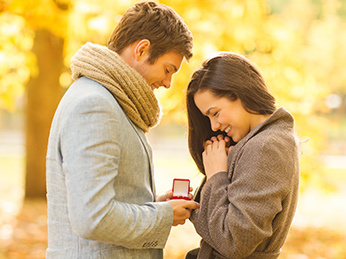 If you have an idea in mind for your next favourite piece of jewellery, please get in touch to arrange a consultation. You may know exactly what you want or just have some ideas to build on. By talking to our craftsmen your thoughts and ideas can become a reality in a bespoke, individual piece that is just what you wanted. 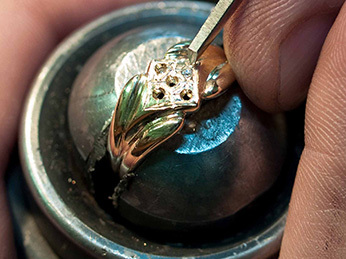 This image shows Tempus’ technician creating the setting ready to set the stones in a new gold ring. This ring was made from the design specification provided by the customer. Tempus can make jewellery to any customer’s requirements or design. We can also carry out modifications to existing pieces. Your ideas are Tempus’ inspiration.